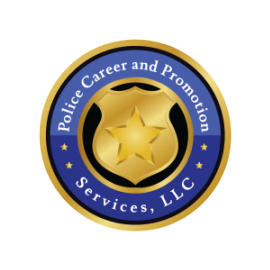 Police Career and Promotion Services, LLC. Learn who we are, and how we can help you. Our Mission: YOU - at the TOP of Your Police Agency's Promotion List! We are Police Career and Promotion Services, LLC - and our affiliates, Finests.com and LJCraig.com. We are an educational and testing company founded in 1985 BY police officers, FOR police officers! We've been successful Law Enforcement educators, test writers, assessors, résumé writers and employment and promotion testing consultants and career counselors and coaches for 30+ years. We are a police promotion testing company for police agencies around the U.S., providing written exams, oral board and assessment center services to help those agencies choose the best candidates for promotion. As an educational tool, we provide these professionally written promotional exams from all the major law enforcement textbooks to professionals like YOU - police officers, deputy sheriffs and other law enforcement personnel to practice with to improve their scores in their law enforcement agency promotional exams. Our attorney writes Legal Exams from National and State law enforcement legal textbooks and state legal guidelines. Our affiliates provide oral board and assessment center counseling and coaching services to entry level and promotion candidates. Our related site is PolicePromotion.net, where we offer police promotion candidates the ability to also utilize Flash Card and Advanced Online and Advanced Desktop Exam Sets for study by individual titles, besides the promotional testing course. All our newer edition police promotion exams and many older editions are available as individual Flash Card and Advanced Online and Desktop Exam Sets. We are current or former Law Enforcement Supervisors and Commanders with many years of Police Pre-employment and Promotional Testing, Assessment, Personnel, Interviewing, Training, Supervisory and Management Experience. Lt. Paul Patti (ret), a 27+ year law enforcement veteran, police command officer, published author, "Hardass" interviewer, and the author of HUNDREDS of Police Promotional Exams. Paul has written over twenty-thousand validated police promotional test questions from over two-hundred police textbooks and editions. Paul is also the original designer of the highly successful and always complimented Business-Quality Marketing Résumé for law enforcement executives! Paul also is the original designer of the Situational-Concept Written Exam, a very difficult and challenging advanced management and supervisory exam that challenges a candidate's understanding of 50 - 60 of the major concepts from a textbook, placing him or her in scenarios and asking if the correct decision was made. This exam is known to be highly challenging, job related and a highly valid predictor of success in police supervisory and management ranks. His law enforcement experience includes being third-in-command of a 145 person police agency, 16+ years as a department commander, 5 years in charge of hiring and interviewing, and 17+ years as a permanent member of the department's Oral Interview Panel where he was the "Hardass" member that interviewed OVER 500 applicants for law enforcement positions. His training and education include a B.A. in Criminal Justice, a graduate of the Southern Police Institute and many other certifications, and thousands of hours of law enforcement training. His experience also includes Personnel Commander, Police Firearms and Academy Instructor, Training Supervisor, Patrol Commander, SWAT Commander, Criminal Investigations Commander, Acting Chief of Police, Acting Deputy Chief of Police, and many other department assignments. Besides being Director of PoliceCareer.com and PolicePromotion.com, Police Career and Promotion Services, LLC - Lt. Patti also works as a professional police promotional test writer and consultant, in-basket assessment designer, structured interview designer and assessor, subject matter expert, consultant in police promotional test and assessment design, and all other aspects of police promotional testing and assessment systems. Read Paul's Blog and Business Bio and also his many articles written for Monster.com PoliceLink! Our affilliate, Finests.com is led by Bill Reilly, who retired from the Hartford (CT) Police Department as an Assistant Chief of Police, climbing through the ranks by being promoted in the #1 position on each of his promotional lists (Sergeant, Lieutenant, Captain, Assistant Chief) after testing against as many as 200 competitors. Bill is certified as both a professional coach and as a law enforcement instructor, having taught thousands of law enforcement officers throughout the country. His law enforcement leadership experience includes assignments as chief of staff, police academy commander, patrol district commander and bomb squad commander. Additionally, Bill graduated from the FBI National Academy & holds a Master's degree in Organizational Communication. For more information on how Bill can help you ‘Lead, Influence, and Achieve’, visit Finests.com or give him a call at 860-647-7993. Let Bill know if you are a PoliceCareer.com client in order to qualify for an enhanced coaching package. Dr. Linsey Willis, LJ Craig and Associates, is one of the nation’s foremost authorities on assessment centers and structured interviews. She has worked in the field designing and implementing assessment center processes for over 30 years. If you are facing an in-basket, leaderless group or ANY assessment center testing, you can receive personal coaching and counseling from one of the nation’s leading authorities and coaches. Dr. Willis’ resume and other information about her impressive credentials can be found HERE. Dr. Willis is is available for private, personal phone, online or in-person coaching and counseling. For more information, call Dr. Willis at 561-750-8669, or review her police promotion coaching packages HERE. Let Dr. Willis know if you are a PoliceCareer.com client in order to qualify for an enhanced assessment coaching package. Help from one of the nation’s leading experts in the field is just a click and a phone call away! We insist on total security and privacy, and have earned the McAfee SECURE certification. Your email and all your information stays private. 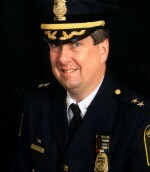 At PoliceCareer.com, Police Career and Promotion Services LLC (Lt. Paul Patti, ret.) and our affiliates for oral board and assessment center coaching, Finests.com (Assistant Chief Bill Reilly, ret.) and LJCraig.com (Dr. Linsey Willis), we know the value and importance of maintaining 100% CONFIDENTIALITY of all your personal information, and will NOT violate your trust. Since 1985, all our client information has remained CONFIDENTIAL. Other than for us and our affiliates above, your name, phone number, email address and any other personal or agency contact information will not be shared, sent or in any way revealed to any other persons or organizations. Your phone number is not needed to place an order. If you do contact us by phone or text, we do not keep that phone number in our records. We would never contact you by phone or text unless we are responding to a message, and of course we would never share your phone number with anyone. When you sign up for our newsletter or when you place an order, your e-mail address is used to send you a receipt and instructions, answer questions you ask us and send you information about special pricing on our products. Your email will also be used by the online testing system to send your test results to you. When you enroll, you will also be signed up for our email newsletter, so that from from time to time you will receive special offers and information directly from us, or through our newsletters, and also directly from our affiliates mentioned above. You can unsubscribe from the newsletter at any time with a 1-click unsubscribe button. If you no longer wish to receive emails that come directly from us and from our affiliates, please email Our Testing Center with the subject line "Remove My Email" and your email will be purged from all our systems. We do not have access to your credit card information. We have no "ongoing" charges of any type. We cannot charge you for services or products without you submitting an order to us each time through PayPal. Written permission is received directly from a client before we post their comments on our site. We DO NOT spam, and except as described above we WILL NEVER share, sell or divulge any of your information, PERIOD.